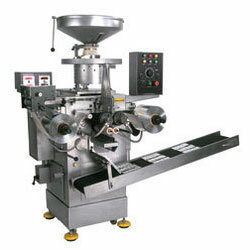 We manufacture a wide range of Packing Machine for Tablet of various specifications in adherence to the norms of the industry. 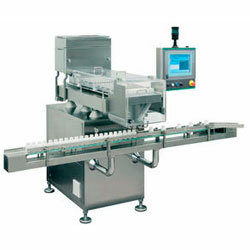 These are manufactured employing high-grade materials and components as well as modern technology. We are the leading exporters of Tablet Packing Machine and export them to the countries like Malaysia, North Korea, South Africa, U.K., Oman and U.A.E etc. Precisely designed by our experts, these machines are extensively chosen by our clients across the world because of their durable life, zero-wastage functionality, power-efficiency, defect-free reliable packaging operation and consistency. They are effortless to maintain and absolutely noiseless. They function with high speed for delivering incredible output. We offer them at affordable prices.